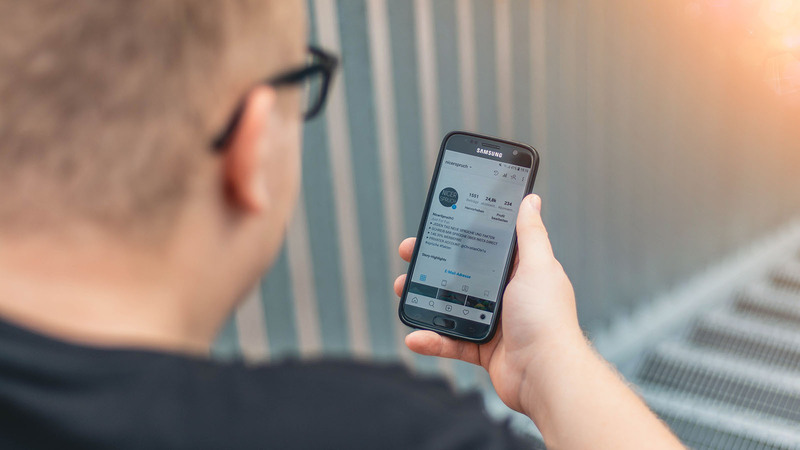 Although laws within the states restrict the ways that marijuana dispensaries can advertise their product, Instagram has proven to be an important hub for those who have an appreciation for the cannabis plant to gather. Before legalization of medical and recreational cannabis became more widespread, social media platforms like Instagram would red flag cannabis and marijuana content, often making it difficult for cannapreneurs to market their dispensary and most importantly their product. Now, as legalization is becoming more widespread across the nation, Instagram is allowing more cannabis-related content to make it onto its platform. Being an entrepreneur in the marijuana industry means that you have to wear a number of different hats that extend beyond cannabis expertise and into marketing, sales, and effective business practices. As such, we have curated a list of helpful Instagram feeds that appeal to both cannabis and business culture so to be helpful to any cannapreneur. Leafly, a Seattle-based company, bills itself as the world’s cannabis information resource. Started as a sort of strain encyclopedia, it’s now a hub for much more -- including news, culture, and dispensary and product reviews. With more than 400,000 followers, you’d be crazy not to follow this cannabis juggernaut. For cannabis business owners, you can use their content to help identify industry trends you should be ahead of. Dispensaries, don’t forget: At least half of your clientele is bound to be female. What are you doing to cater to them? WomenGrow is a network for women interested in or already a part of the cannabis industry with chapters all over the U.S. Use their Instagram feed to find out what women in the industry are doing, buying, and loving. And if you’re a woman or an employer that takes diversity seriously, WomenGrow is a great network to tap into. Since becoming the first cannabis review site in Canada in 2013, Lift & Co. has continued to see exponential growth. When it comes to being in touch with Canada’s cannabis industry trends, culture, products, and community, it would be tough to find a better source. Their bright and graphically pleasing Instagram will bring you cannabis news and dates for their awesome in-person events. MJBizDaily is a stalwart of the legal cannabis media scene. Their online content is at the forefront of breaking cannabis industry news; their print magazines offer traditional editorial work, and they happen to host MJBizCon, the largest legal cannabis trade show every year in Las Vegas. If you want to stay up to date on cannabis business news with a global outlook, look no further than MJBizDaily’s Instagram feed. Cova helps cannabis retail license applicants across Canada prove their cannabis retail inventory management procedures are up to snuff. But there’s a wide swath of compliance-related issues that cannabis retailers must watch out for, from security and facility design, to product sourcing and more. That’s where Cannabis Compliance Inc. (CCI) comes in. CCI is Canada’s original cannabis consultant, helping cannabis entrepreneurs get their cannabis license. Follow their Instagram to help you identify all the potential compliance pitfalls you need to be aware of and how to avoid them. The National Cannabis Industry Association (NCIA) is the largest trade association representing the legal cannabis industry. As a cannabis entrepreneur, you should understand the importance of advocating for medical access and legalization to elected officials and NCIA is the first line of defense for protecting cannabiz. The NCIA Instagram feed will alert you to NCIA events where you can plug in to your local chapter and meet other cannabis entrepreneurs in your area. We love the Ganjaprenuer Instagram because it gives us two of our favorite things: 1) high quality, beautiful cannabis photography and 2) the top cannabis news headlines, summarized into a sentence each, every day. Things move quickly in the cannabis world and as a dispensary owner, you have to stay ahead of the news cycle. You can trust the information you’re getting since Ganjaprenuer is one of the most trusted news sources for the cannabis industry. The Direct Cannabis Network (DCN) is a leading digital publication for cannabis business news. On their Instagram feed, you’ll find entrepreneur and company spotlights highlighting industry players you should know. DCN also posts about their new content releases, which are chock full of awesome editorials. As a cannabis entrepreneur, there are few better networks to join than The ArcView Group. ArcView brings together top cannabis businesses looking for investment in front of a large group of accredited investors ready and willing to throw money at good ideas. Their Instagram feed will alert you to ArcView Investor Forums, deadlines for applications, and introduce you to some of the most exciting and promising startups in the industry. It’s hard to beat the super high quality of MG Retailer’s print magazines, but their Instagram feed does a pretty good job! MG Retailer is, hands down, the leading publication for cannabis retailers. And their Instagram is great for highlighting new products on the scene, beautiful dispensary design and branding, marketing ideas, and more. If you’re a retailer and aren’t following this page, you’re missing out! On your journey as a cannabis dispensary owner, you’re going to need help and inspiration along the way. These 10 Instagram accounts will alert you to networking and investment opportunities, market trends, industry news, and more. If you want tips and tricks for running your dispensary, from setting up a loyalty program to pricing strategy and store design, subscribe to our blog today!